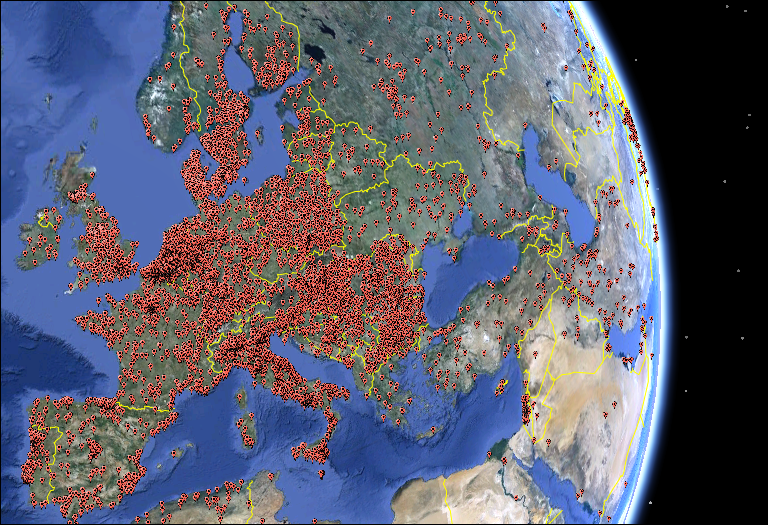 Some botnets are so big… you can see them from space (or at least, Google Earth). 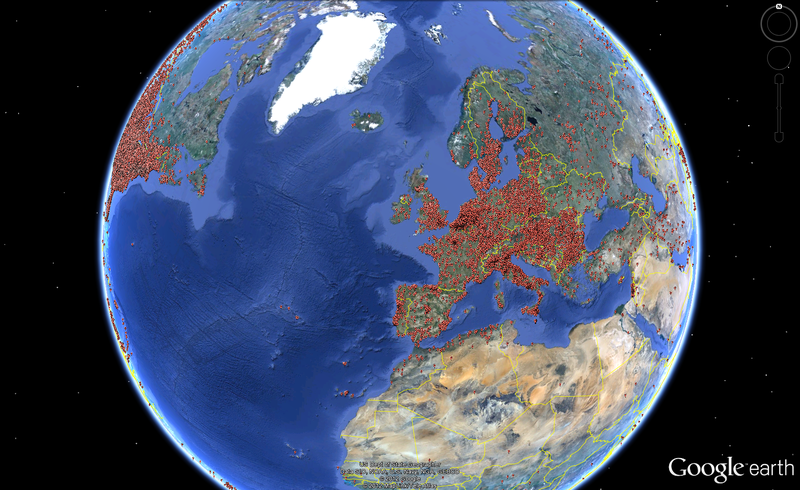 Click image for an expanded view (1680x1030). More to follow — just as soon as we scare up some additional RAM to render the more than 140,000 unique IP address that we've discovered thus far.